With the new year just around the corner, who doesn’t start thinking about all the new year’s resolutions they plan to make…then break? This new year, one resolution which should be on your list is to take better care of your skin. As we get older, the damage to your skin gets worse and once the damage is done, it can be very hard to reverse it. You face in particular is exposed to harmful environmental factors on a daily basis and if not looked after, will quickly show signs of ageing. 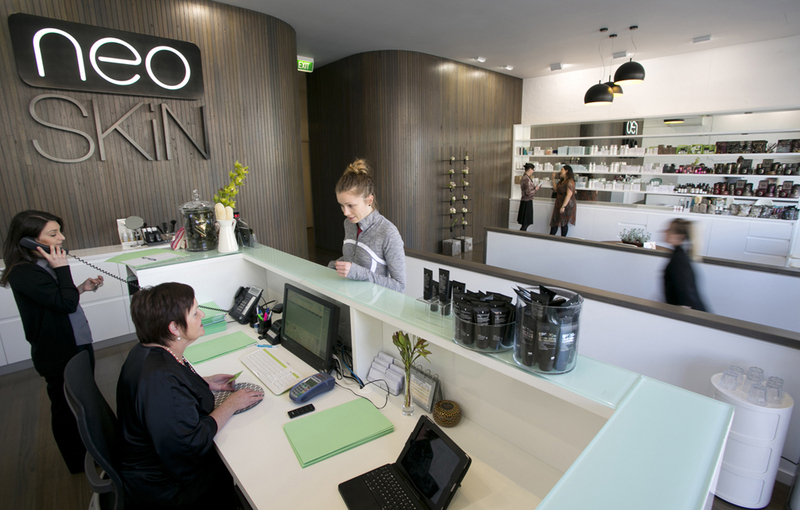 To learn more about how I could improve my skin and keep wrinkles at bay, I headed into to renown Victorian skin clinic Neo Skin. 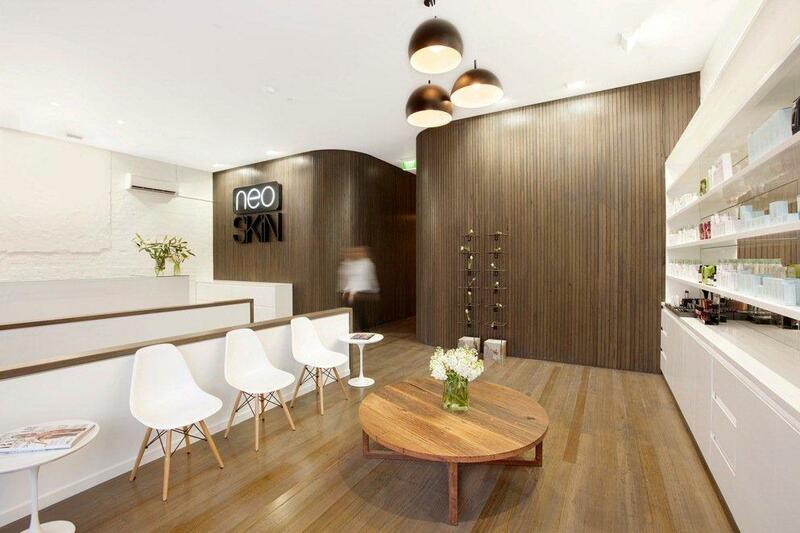 Founded by Yasmin Najjar, Neo Skin prides itself on offering its loyal clientele state of the art, non-invasive skin care treatments to help skin realise its full potential. One look at Yasmin and its hard not to want to sign up for every Neo Skin treatment on the spot because whatever they are doing, it is working. You know when you met someone and they are literally glowing? Well that’s Yasmin. Her skin looks so flawless, you could almost think it was airbrushed. Immediately realised that my skin hasn’t been living up to it’s potential, so I welcomed the opportunity to try one of the world famous Oxygen Facials to see if I could improve it. I started my treatment with a session with a Healite II LED session, to helps increase the absorption of products put onto my skin afterwards. This involved relaxing in the clinic with a heated lamp sitting close to my face. This lasted for 15 minutes. I was then primed and ready for my Oxygen Facial, famously put on the map by Madonna when she discovered its super powers. Now she has an oxygen machine in every one of her houses! Kelly, the fantastic Skin & Laser Technician who looked after me, informed me that the Oxygen Infusion process uses hyperbaric oxygen (that is oxygen under pressure) together with hyaluronic acid to deliver specially formulated serums deep into the skin’s structural layers. So how does this help tired and dehydrated skin? The unique action and formula immediately plumps and hydrates the skin to reduce the appearance of fine lines and wrinkles. Sounded good to me! My skin was given a deep cleanse of the skin using a Clarisonic Pro. It was then exfoliated using an enzyme mask. Oxygen Infusion was then conducted using a serum applicator which slowly glided over the surface of my skin in a specific pattern. My session finished up with a relaxing facial massage. For best results, Neo Skin recommends a course of 6 treatments on a weekly basis for this particular treatment. So what was the verdict? Straight away, my skin looked plump. Any fine lines caused by dehydration had disappeared. My completion was glowing and I could see that it instantly looked smoother. In the days following the treatment, my makeup glided on much easier and sat more naturally on my skin. I knew I would be back. Even if you are moisturising and cleansing your skin everyday, I would highly recommend regular visits to Neo Skin to supplement your daily routine. While the cost of facial treatments can add up your skin is exposed to toxins everyday, therefore needing regular treatments to keep your skin looking its best. Even if you can’t go as regularly as you want, its definitely important to work at least a few treatments a year into your beauty budget. Trust me, your skin will thank you for it! Neo Skin also have a great range of products which have all been formulated using years of expertise Yasmin has gained in the skincare industry. You can purchase these in-store at Neo Skin. So this new year, when you are making your new year’s resolutions, make sure taking better care of your skin is one you keep! Click here to find out more about Neo Skin and to book your treatment now.